Thanks again to Cwm Harry Zero Waste and everyone involved in the festival. It’s been a brilliant, lively and fun weekend here in Ludlow. I take my hat off (a rare event) to the town council, the festival organisers, Cwm Harry and everyone who contributed to fabulous weekend. 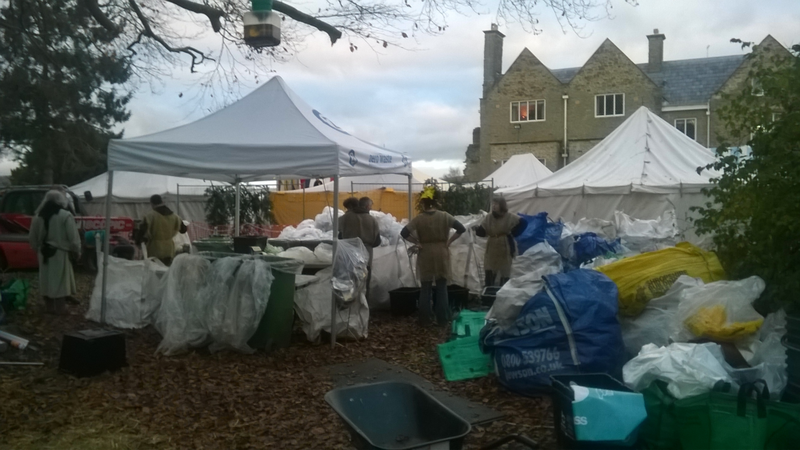 The Medieval Fayre was simply wonderful, with a great atmosphere, unusually mild weather and great recycling. The Christmas Lights switch on Saturday evening was jolly good fun. David joined the Mayor and a DJ from Sunshine Radio for the switch on. The atmosphere inside the castle for the Medieval Fayre was brilliant. 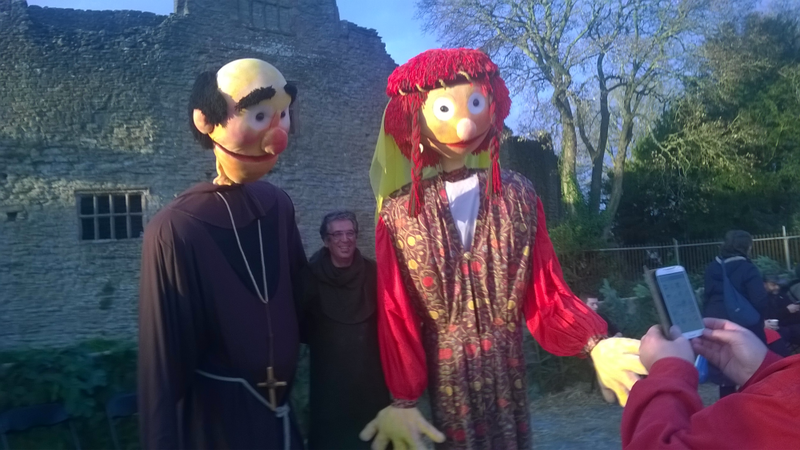 All around the castle, people were laughing, giggling and cheering. They danced and applauded, quaffed ale and mead, and ate lots. It was fun, it was at times silly and I never want to miss another Medieval Fayre in Ludlow. I’d turned out to help after an email request from Cwm Harry. This is the charity that manages the recycling at the Fayre and many other festivals. They wanted volunteers to help and I am always happy to help with recycling. Saturday had been a really busy day. I litter-picked Sheet Road, Galdeford, Corve Street and the town centre early on. I delivered leaflets explaining the Blue Boar closure. I knocked on doors the Upper Linney to try to get an understanding on how best how to get contractors vehicles up this narrow street for the essential work on the town walls. Just as I was thirsting for a pint, my electronic diary bullied me to turn up to recycling duty. I enjoyed every minute working with the Cwm Harry team. Nearly everything from the Medieval Fayre is recycled. Four years ago, 32 skips of waste left the castle on the Monday after the festival, all heading for landfill. This Monday, there will be two skips max heading towards landfill. 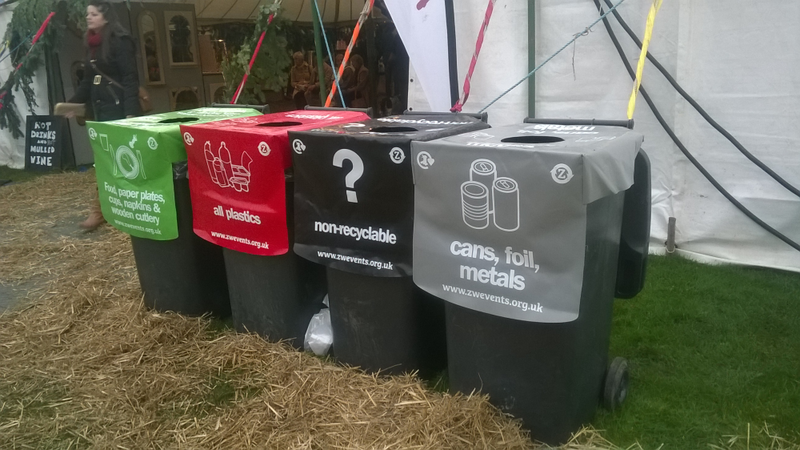 Working with the festival organisers, Cwm Harry has got close to its ethos of delivering a zero waste society. This is what we need in Ludlow. Really good parties and really good recycling. Having fun should never be an excuse for trashing the environment. Here in Ludlow it is not. We should take ever greater strides towards making our town a zero waste community.